Welcome to the CTMH Product Spotlight Blog Hop for March! When completing my application to teach at this year's CTMH convention, I learned something about myself...I don't do enough 3D or altered projects. So when I read that this month was featuring Close To My Heart's My Creations, I had to go for it. 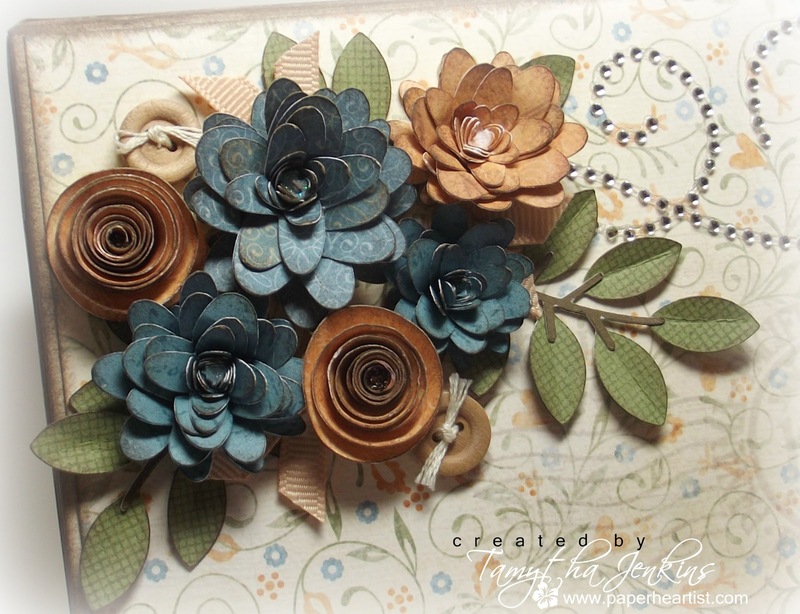 The paper pack that I'm featuring at this month's scrapbooking and card workshops is Florentine (details coming soon about those two classes). I have to tell you....I'm falling in love...big time. 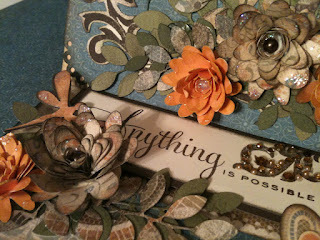 I just love this palette, so I decided to use my paper pack leftovers on the box. When I was thinking about how I wanted to decorate the outside of the box, I first wanted to keep it generic enough that I could put cards in it...which I will be doing...or use it for anything else, so I settled on 3D flowers from the Cricut Art Philosophy. But I have to tell you a little secret...they intimidate me a little. I know, I know. They're paper flowers. What is there to be intimated about? Fortunately though, one of my friends and fellow CTMH sisters, Tamra Pope, is a queen at these flowers. In fact, I called her to get an over-the-phone tutorial. You can check out some of her flowers here...or here...or here...or here (she made these by hand). If you have time, take a moment or two to check out the rest of my blog. 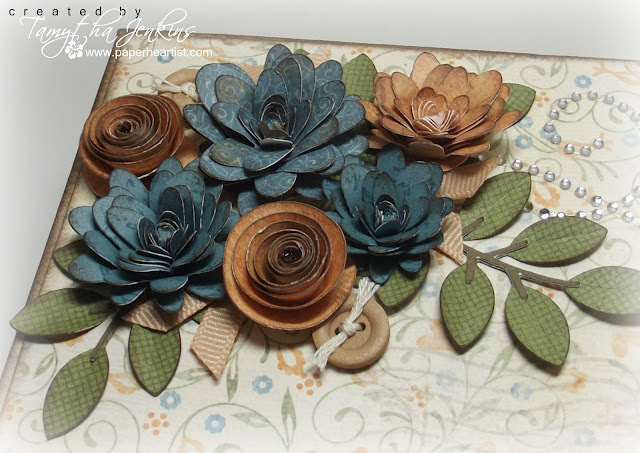 If you enjoy your visit, then please consider "Following Me" and/or leave a comment (we all love comments...the nice ones anyway), then be sure to continue along on the hop by heading over to Haley Dyer's blog, "The Inky Scrapper" to see her creation. Your box is beautiful! That cluster of flowers is amazing. 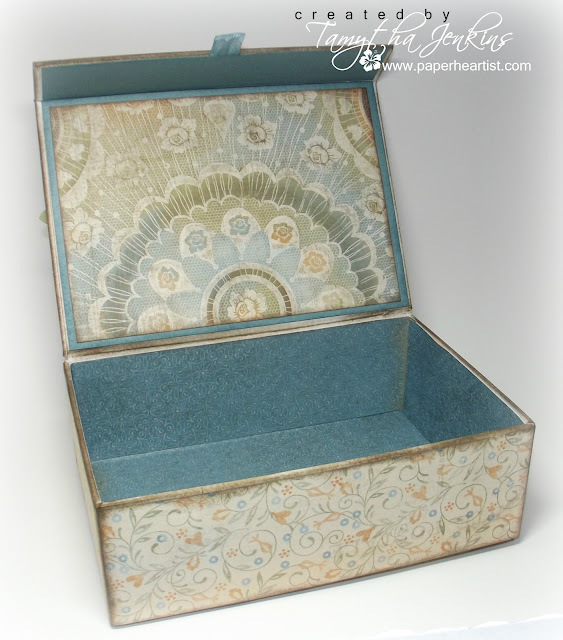 I can imagine all kinds of sentimental treasures being stored in this beautiful box. 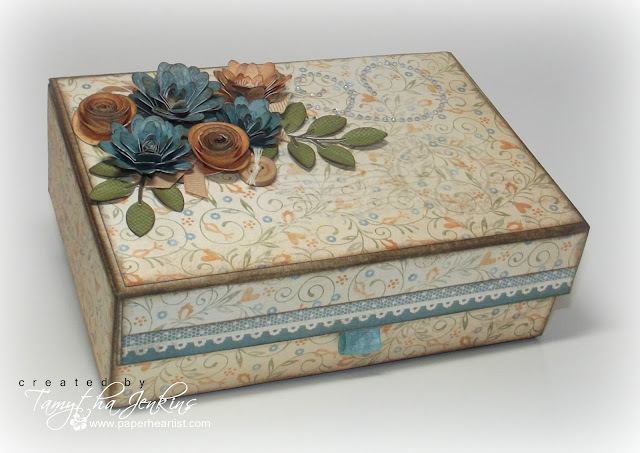 What a GORGEOUS box - I really do love that paper pack. And your flowers turned out beautiful! Oh my goodness, Tamytha - you did an amazing job on this!! Very pretty! I love the colors and the placement of the inside paper. I love it! Do you mind if I scrap-lift this project for my customers, giving you credit as designer and linking back to your blog? Thanks for asking. Absolutely. I appreciate the credit. :) Have fun!